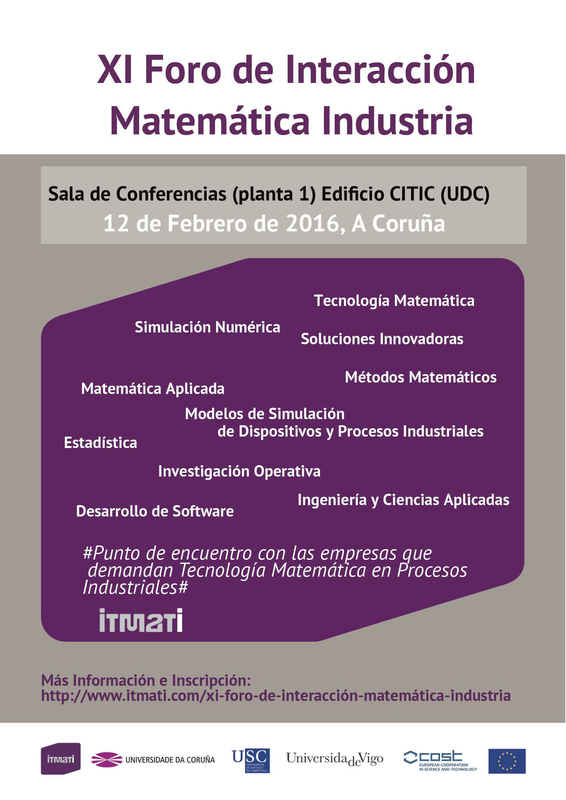 The next February 12, 2016 it will be held at the Conference Hall (level 1) of the CITIC (Research Center for Information and Communication Technologies) the XI Forum Mahtematics Industry, It will be arranged by groups of applied mathematics, statistics and operations research from the three Galician universities that are consolidating their efforts to transfer technology to industry and the productive sector, via the Technological Institute for Industrial Mathematics, ITMATI. The Forum will take place in the Conference Room of the CITIC. In this XI Forum, the invited companies will present problems in their field to be addressed using mathematical and numerical methods, statistics and operations research: modelling, process and device simulation, computer-aided engineering (CAE), etc. Among other, there will be problems related to fluid mechanics, structural analysis, heat transfer, acoustics, electromagnetism, quantitative finance, support decision making, statistical advice and analysis, quality control, risk analysis, process optimization, inventory control, etc. Present potential needs of industry and enterprise in relation to mathematical methods, numerical simulation, statistics and operations research and look for solutions. Increase relations between business and the University in the field of applied mathematics, show the potential of mathematics, numerical simulation, statistics and operations research, and promote cooperation. Promote the use of mathematical models, computational techniques and numerical simulation, statistical techniques, data analysis, information exploitation, etc. in industry. 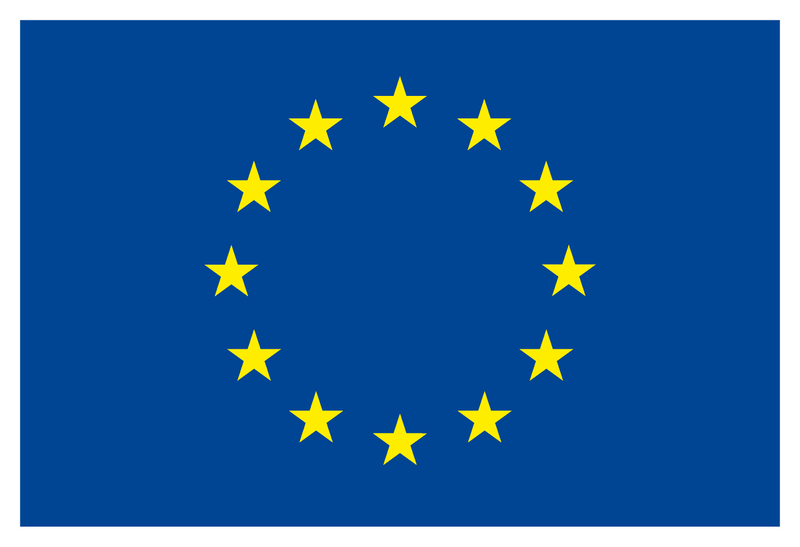 Open lines of research focusing on topics of interest to business and industry. Encourage the incorporation of technical expertise in business. Mrs. Iratxe Galdeano, Partner AFI. Mr. Jorge Tomé Hernando, Director de Arquitectura de Sistemas de Información y Aseguramiento de la Calidad. PRISA Tecnología. Mr. Pedro Pérez Gabriel, Managing Director, EcoMT. Mr. Rubén Gayoso Taboada, Manager of ITMATI. Mr. Daniel Prieto Renda, Director of Organization, Soltec Ingenieros. 09:15 Reception of participants and delivery of material. 09:45 Opening Ceremony XI Forum Mathematics Industry. Mr. Salvador Naya Fernández, Vice-President of ITMATI and Vice-rectorated for Science Policy, Research and Transfer of the University of A Coruña (UDC). Mr. Luis Hervella Nieto, Dean of the Faculty of Computer Science (UDC), Affiliated Researcher of ITMATI. Mr. Carlos Vázquez Cendón, Full Proffessor of Applied Mathematicas (UDC) and Affiliated Researcher of ITMATI. President of the Scientific. Representative of the Scientific Committe. 10:15 ITMATI, a center for promoting transfer and innovation. 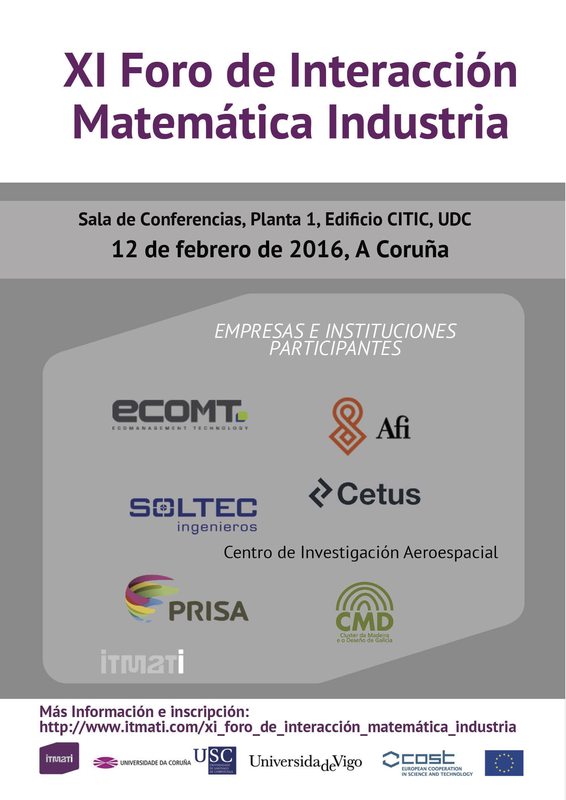 11:15 "Collaboration projects on the field of applied mathematics University-Business AFI/UDC/ITMATI". 11:45 "Statistical classification of users according to their behavior in the access and use of digital content in multiplatform "
16:30 Presentations of the masters: Master on Industrial Mathematics (M2i) and Máster en Statistic Techniques. If you want to participate you can register in the following registration form (click here). Deadline February 10, 2016. ORGANIZERS: Instituto Tecnológico de Matemática Industrial. Co-organize COST Action Mathematics for Industry Network (MI-NET). Facultad de Informática Universidade de A Coruña. Sala de Conferencias Edificio CITIC (planta 1).